I am a child of a generation born to positive mothers, when women were not PWA’s. I am a child born of a generation of children who were not built to last, who suckled the breasts of un-tested women, who grew in their wombs and past through them like rushing waters. I am a child born into a generation where hope came in the form of color coordinated pills stamped with dates, and times, and schedules. I am a child born into a generation of silenced voices that would not be heard until decades of birthday candles had been blown out. If God were to take me, hold out her hand for mine, all that would be left is an empty vessel who was once filled with the curiosities of a small girl. My spirit would dance among the crashing waves of the ocean, the sound of busy city streets; through traffic lights and star ships. I would sing the songs of my earthwalk, songs of my mother. I would cry out to her, only to be reconnected to the source. To be reborn as an angel, and sit closely next to her in the night sky. Like dancing shadows on the walls of Plato’s cave, Identity is an accumulation of imitation and re-presentation. Its honesty lives through each unique individuals belief of their own truth. By the creation of Kia Labeija, I have composed an identity which exists in the world simultaneously to my personal story. My fictitious childhood dreams have developed into a distinct persona, turning me from human into artist, and from child into adult. No longer just the aspirations of adolescents, but a fully established body of work, striving to be seen, to be heard, to prove “I am somebody, I am a great somebody”. My practice of masking has provided me security in allowing myself an escape from the complexities and hardships of my everyday life. Growing up HIV positive, I never saw images that represented my existence. I felt a loneliness that pushed me to create solidarity within myself. 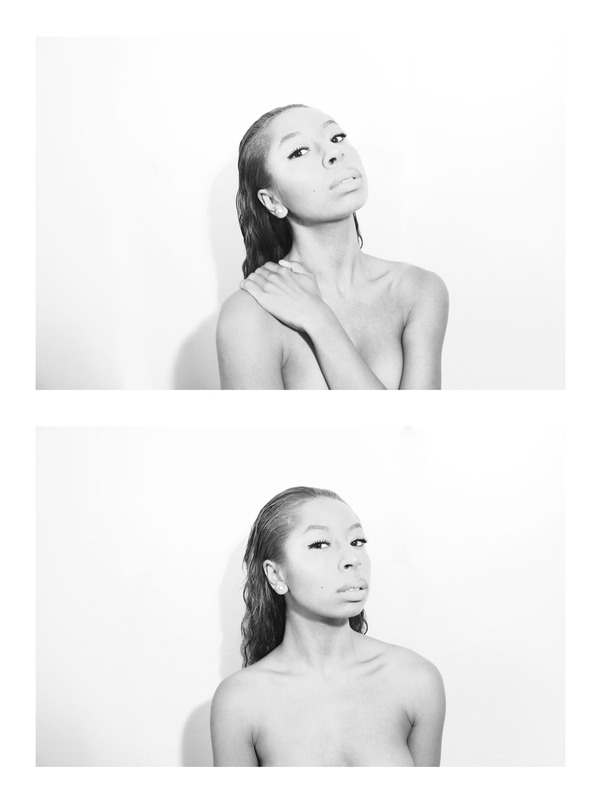 I’ve come to know self-portriture as a method for survival, self healing, and reflection. I use the concept of glamour and beauty in my work to provoke conversation on what it can look and feel like to live with the virus. James Baldwin claims “People who cannot suffer can never grow up, can never discover who they are”. As a coping mechanism, masking is used as a form of escape in which deep pain and suffering is left covered up. By using communication and story telling, one can unmask. Sadness can come to the forefront and be dealt with. The healing process begins when someone bears whiteness, when masker is ready to be honest with all parts of their being, not just the projections they wish to display. Harlem Postcards | Studio Museum of Harlem | New York, NY November 12th – March6t h, 2015 Commission highlight Harlem neighborhood; concurrent exhibiting artists include Zanele Muholi. 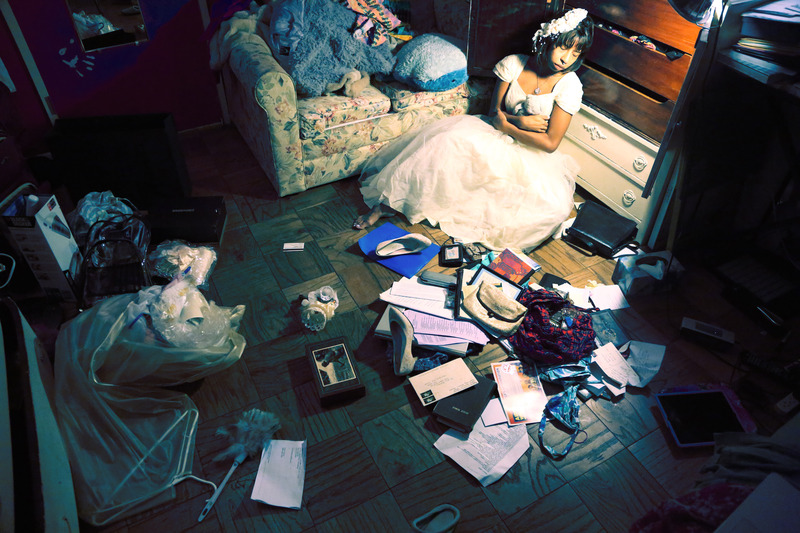 Kia Labeija, Young Royal | Accent Magazine Cover Story | By Bwalya Newton. 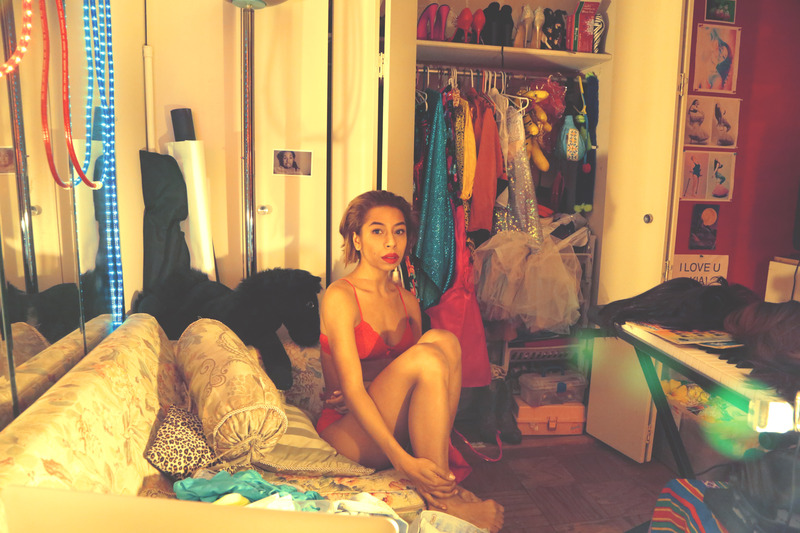 Kia Labeija’s Firsthand Account of Growing Up HIV+ “ELEVEN” | The Creators Project, VICE | By Kia Labeija | December 1st, 2015 |. 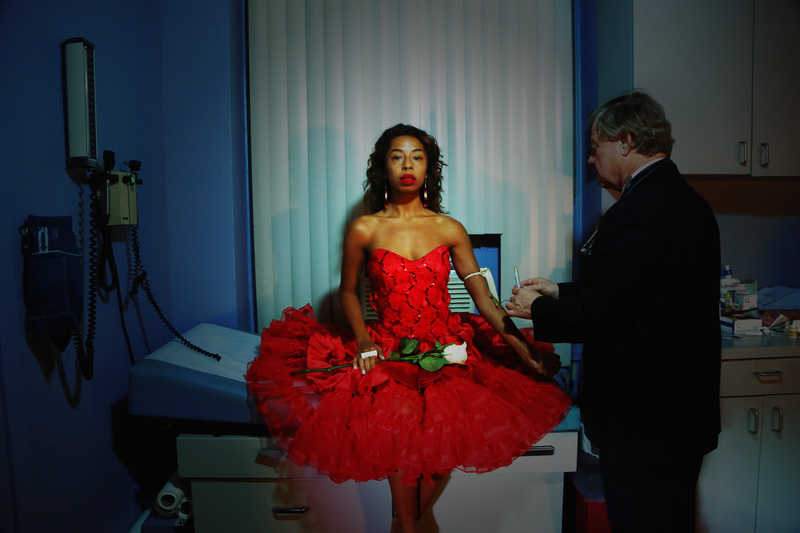 Kia Labeija Tracks the Influence of HIV/AIDS on Contemporary Art | The Creators Project, VICE | By Antwaun Sargent | September 2nd | http://thecreatorsproject.vice.com blog/kia-labeija-tracks-the-influence-of-hiv-aids-on-contemporary-art. Saturday Church | Feature Film | As Kia Labeija | Creative consultant, additional choreography, dancer | Director: Damon Cardasis.